My name is Chris Herrera and I have been in the hair care industry for over 15 years now. Being one of the few scalp micropigmentation artists on The East Coast is what sets me apart from the rest of the local hair specialists. 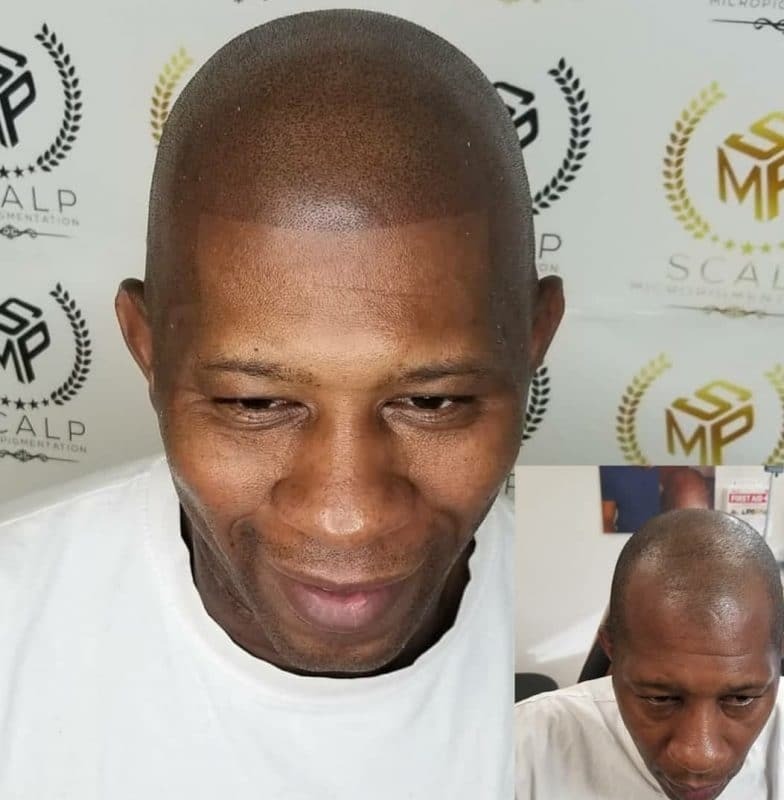 I have a Master Barber background that has helped me become one of the few known for their achievements scalp practitioners in the world. Throughout the years I have been in business, the popularity of Scalp Micropigmentation has grown and has now become the reputable hair loss center for many people around. 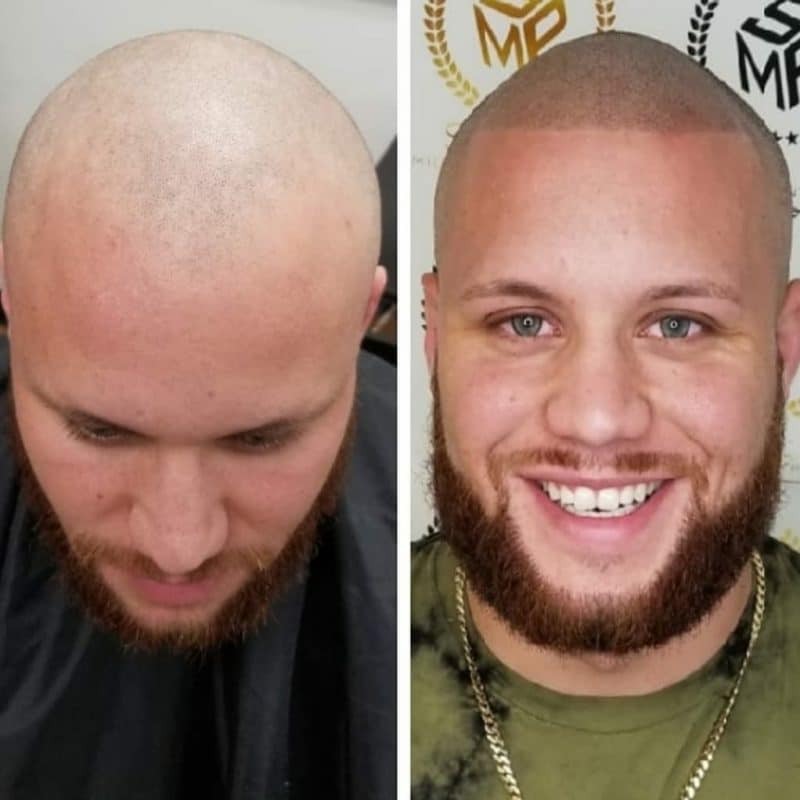 Situated in Cabin John, MD and serving the surrounding locations, I offer professional hair treatment services, including scalp micro pigmentation, Alopecia areata, and others. Choosing me will give you the quality restoration of your hair, and something much more. I became a barber when I was 16 because I realized this was what I wanted to do – I wanted to help people look and feel better about themselves. When I turned 18, I started losing my own hair, so I always had to wear hats and tried all types of creams and dyes to cover the baldness. Nothing helped me until I found scalp. Fully licensed and established my hair loss center is the ideal choice for your needs. Not only are the methods effective but quick to perform and budget-friendly to enable more people to take advantage of the services. The procedures I perform are proven to bring your confidence back. I can determine where your hair loss is and where it will be years down the road. So, with my knowledge, you can rest assured my work will last a long time. My team and I use the best equipment available to achieve results that go beyond expectations. We use organic and vegan-friendly pigments. I am a certified hair treatment specialist with the passion to bring people’s hair and self-confidence back. I use my knowledge, top-brand hair treatment products, and the latest technological equipment on the market to provide the effective, swift, and lasting hair restoration service you deserve. mile to make sure you are well taken care of. If you have any questions, please feel free to contact me any day any time! Thank you for taking the time to go through my website. I will be expecting your calls! Contact my hair center in Cabin John, MD to schedule a service with me. Learn more about the methods I implement, the products I offer, or other aspects of what I do, by dialing (301) 503-0762 to get in touch with Scalp Micropigmentation. I’m looking forward to your calls. Contact me today!